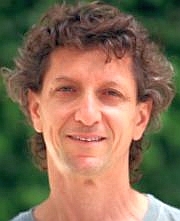 Leon Wiener Dow is a research fellow and faculty member of the Shalom Hartman Institute in Jerusalem. He is the author, most recently, of The Going: A Meditation on Jewish Law (Palgrave Macmillan). Learn more about Leon and his work. I simply cannot fathom the stories and images that are being cast our way - of men sending lewd pictures of themselves; initiating unwanted contact with women or forcing women to touch them; of placing women in a demeaning and uncomfortable position of having to reject unwanted advances; of masturbating in front of an unwilling audience. It’s not just vile; I simply don’t manage to understand how, or why, a man does those things. After Danielle Berrin confronted Ari Shavit’s sexual misconduct in the fall of 2016, well before this latest wave of revelations of sexual harassment, I offered a confession that bears repeating: I should know better than to be surprised. I should not ask, #YouToo? with disbelief. #YouToo?, Louis C.K. #YouToo?, Roy Moore? #YouToo?, Al Franken? #YouToo?, Larry Nassar? #YouToo?, Harvey Weinstein? #YouToo?, Dustin Hoffman? And yet: though the surprise is long gone, the disappointment of #YouToo? looms large. What’s more, the scope and persistence of the latest wave of revelations lead to a very real quandary: how am I to manage in a world in which so many men - many of whom I held in esteem, or whose work has been significant in my life - have acted so deplorably towards women? To be sure, the continuing pain of those who have been subject to these abuses endures. But in this piece, I want to focus on how both we as individuals (especially men) and society as a whole can do a serious accounting of our varying levels of complicity in this rampant abuse. We Jews have struggled with our version of this basic value quandary for years. We asked how the anti-Semite Wagner can have made such beautiful music, wondering whether we were obligated to shun listening to it and playing it. We’ve engaged in similar conversations regarding T.S. Eliot, and Heidegger, and others; the list goes on. So the #MeToo movement has not presented us with a fundamentally new problem. The challenge it presents now is from the astounding pervasiveness of the problem. My disappointed sigh of “#YouToo?” becomes destructive because it can lead to complicity in the abuse. But it seems thoroughly impossible to avoid it entirely. Am I to stop citing the writings of Ari Shavit, who has attempted to clear a path for liberal Zionism? Prevent myself from laughing at or sharing the humor of Louis CK that so often touches places of deep truth? Cease singing the ethereal tunes of Shlomo Carlebach? Avoid being moved to tears by Dustin Hoffman, one of the greatest actors of our time? How are we to assess the extent of our complicity as passive abettors in the crime? I want to suggest a few ways of pulling apart the issues before staking out a claim that precisely this impulse to isolate and dissect is at the root of the malady that we need to overcome in order to answer the challenge of #MeToo. We must first begin with questions that center the victims. Does our use of a perpetrator’s work contribute to the victim’s ongoing pain? Sometimes, having a victim enter a synagogue where Shlomo Carlebach’s melodies are being sung may contribute to a victim’s (or the victim’s child’s) ongoing pain. But it may well be the case that even the victim of Dustin Hoffman’s harassment herself continues to appreciate the perpetrator’s professional brilliance and enjoys seeing him onscreen. This calculus of deciphering the ongoing pain wielded by our sharing, appreciating, or citing the work is an exceedingly complex one, not only because it varies from person to person, but also because many of the victims are anonymous. We are thus often left wondering whether the person sitting next to us may be a victim. Indeed that invisibility is precisely what #MeToo has begun to combat so effectively. We can and must also ask: to what extent is there a necessary or inherent connection between the perpetrator’s sexual impropriety and his status? Often the perpetrator’s position of power is inextricably linked to the act of abuse. Assuming this is the case, we must challenge ourselves: to what extent do we contribute to the perpetrator’s elevated status by appreciating and valuing him and his work? I might add that this line of questioning changes significantly - though it does not disappear - if the perpetrator is no longer living. We should also ask: What are our moral expectations of a person in the perpetrator’s position? Sexual assault, of course, is sexual assault - regardless of the perpetrator’s profession. But can we demand uniquely high standards of behavior from people who work in professions that themselves aspire to moral sensitivity - such as an artist, a public servant, or a religious leader? All of the considerations that I have suggested thus far are made possible by the supreme act - characteristically philosophical, and stereotypically male - of division. The recurrent, implicit question that runs through the spate of these deliberations asks to what extent is it possible to distinguish between the person (the perpetrator) and his work? Or, put otherwise: can we separate one area of a person’s life, where he fails, and another area of his life where he excels? As long as we continue to confine our discussion to these parameters, I fear that we will return time and again to the jejune conclusion that was our starting point: People are complicated. They meet our expectations in some areas, while inflicting indelible harm in others. But I would argue that there is a deeper impulse behind the painful, disappointing question #YouToo? - impulse not towards division, but toward wholeness. We can distinguish between a person’s failings in one area of behavior and his excellence in another, but we prefer not to do so. Intuitively, we know that engagement in that kind of moral reasoning is indicative of a spiritual malady, a willingness to live our lives riddled with divisions. A story in the Babylonian Talmud (Gittin 36a) tells of a teacher who was “sinning against young children.” Rashi suggests he was hitting them, though my suspicion is that his deviance was sexual in nature. The town authorities removed him from his position and made him vow not to teach young children anymore. However, they failed to find a teacher ‘who was as precise as he was’ - and so they reinstated him. Within two lines, the reader moves from exuberance (that the town leaders modeled ethically-responsible behavior) to painful disbelief (that they could so value a teacher’s ‘precision’ that they would put their own children at his disposal). In its context, the story is brought to indicate that a public vow can be rescinded. But in fact I think that the editors bring the story in an effort to level critique, intimating to the reader that there is something repugnant and profoundly misguided in reinstating an abusive teacher to a position of authority merely because he is ‘precise’. What kind of Torah will he transmit? A very different story in the Babylonian Talmud (Brakhot 62a) tells us of a student, Rav Kahana, who follows his teacher, Rav, into the bedroom, hiding under the bed in order to hear how his teacher conducts himself with his wife. Rav discovers Rav Kahana and tells him that he has overstepped his bounds. “It’s Torah [literally, instruction],” responds Rav Kahana, “and I want to learn it!” Rav Kahana’s deepest impulse is that even in - or perhaps especially in - the darkest, most hidden of places and in his most intimate encounters, a spiritual master must act in a way that is exemplary. A person’s behavior is a continuum, and it is impossible - and spiritually unwise - to separate how he acts in one area (e.g., as a teacher) from how he acts in another (e.g., as a spouse). Returning to my opening question, and inquiring uncompromisingly about how I may be complicit, I could try to answer the questions I asked above regarding the ongoing pain of the victim; the way in which I bolster the perpetrator’s status by appreciating his work; or the extent to which I harbor moral expectations of a person in the perpetrator’s position. I can even wax philosophical about the possibilities of separating a person from his work. But I think my 14-year-old daughter was right when she looked at me, eyes open wide, full of a combination of shock, dismay, and disappointment, and asked me how I could play the music of Shlomo Carlebach in our home, given his history. The purity of her expectation is not naiveté. It is a demand for thoroughgoing moral excellence, as well as for coherence and cohesion in a person’s life. It is Rav Kahana’s insistence that a man’s character be tested in and established by the way he conducts himself in the most intimate aspects of his life. It is the standard established by the Talmud (BT Yevamot 53b) and later codified in the halakha that with a man’s erection comes responsibility and moral agency. In the final analysis, with genuine heaviness of heart, I confess my guilt, responsibility, and complicity as an aider and abettor of the perpetrators, in entertaining their basic male defense of division, which allows a sliver of light to separate them from their actions. And I declare my commitment to demanding of myself - and of them - a uniformity of excellence and sensitivity. That is the higher unity of human existence to which we must aspire, and anything short of that adds to the damage.